South Sulawesi (Indonesian: Sulawesi Selatan; Buginese: ᨔᨘᨒᨓᨙᨔᨗ ᨒᨕᨘᨈ ) is a province in the southern peninsula of Sulawesi. The Selayar Islands archipelago is also part of the province. The 2010 census estimated the population as 8,032,551 which makes South Sulawesi the most populous province on the island (46% of the population of Sulawesi is in South Sulawesi), and the sixth most populous province in Indonesia. Forty years later, the South Sulawesi government was split into two, with the regencies of Majene, Mamasa, Mamuju, North Mamuju, and Polewali Mandar were separated off into a new West Sulawesi province on 5 October 2004 under Act No. 26 of 2004. The remaining South Sulawesi Province is divided into 21 regencies and three independent cities, listed below with their (provisional) populations as of the 2010 Census. # The 2000 Census population for Palopo city is included in the figure for Luwu Regency. * The 2000 Census population for North Toraja Regency is included in the figure for Tana Toraja Regency, which was formed in 2008 following the publication of Commission President Yudhoyono, numbered R.68/Pres/12/2007 on 10 December 2007, regarding the expansion of the twelve original districts and cities. *** The 2000 Census population for East Luwu Regency is included in the figure for North Luwu Regency. The Buginese (suku Bugis) are the largest ethnic group in South Sulawesi. These people inhabit the middle of the southern peninsula of South Sulawesi. Many of these people have migrated to the outer islands around Sulawesi, even as far as Malaysia. The Makassarese (suku Makassar) are the second largest ethnic group in South Sulawesi. Their language is Makassar. Makassar people inhabit the southern part of the southern peninsula of South Sulawesi including the Jeneponto, Takalar, Bulukumba, Bantaeng, Gowa, Maros, and Makassar. The total population is around 3 million people. The Torajan (suku Toraja) are the indigenous ethnic group which inhabits the mountainous region of South Sulawesi. Their population is approximately 650,000, 450,000 of which still live in the regency of Tana Toraja ("Land of Toraja"). 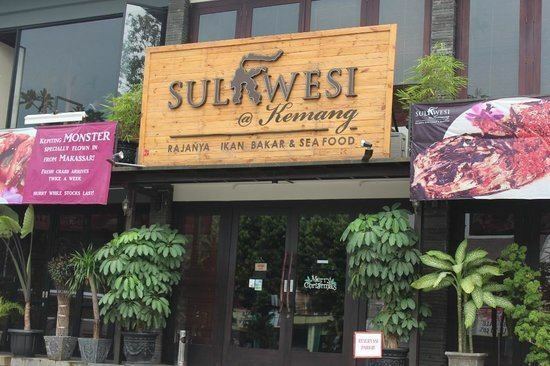 There are various languages and dialects spoken in South Sulawesi. Majority of them belongs to Malayo-Polynesian branch of Austronesian languages. Below is the list of major languages spoken in the province. 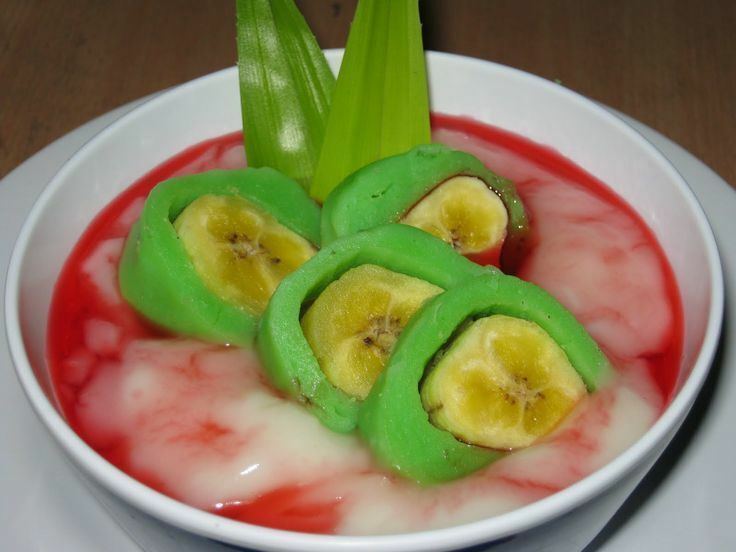 Makassarese language is a language spoken in Makassar and surrounding areas. It has a total of 2.1 million speakers. Tae' language is mostly spoken in Tana Luwu. It has 1 million native speakers. Toraja language is the native language Tana Toraja. It has a total of 750,000 speakers. Mandar language is the language of the Mandar people, that lives in the West Sulawesi province, especially in Mamuju, Polewali Mandar, Majene and North Mamuju Regencies. In addition to the core in the tribal areas, they are also scattered in coastal parts of South Sulawesi, South Kalimantan, and East Kalimantan. It is spoken by around 400,000 people. Duri language is a language spoken in the north of Mount Bambapuang, Enrekang and into the border of Tana Toraja. There are an estimated around 130,000 native speakers. It is the prestige variety of Masenrempulu languages. Konjo language is divided into two groups, the Coastal Konjo and the Mountain Konjo language. The Coastal Konjo live in coastal areas, notably the Bulukumba area, in the southeastern corner of the southern part of the island of Sulawesi. 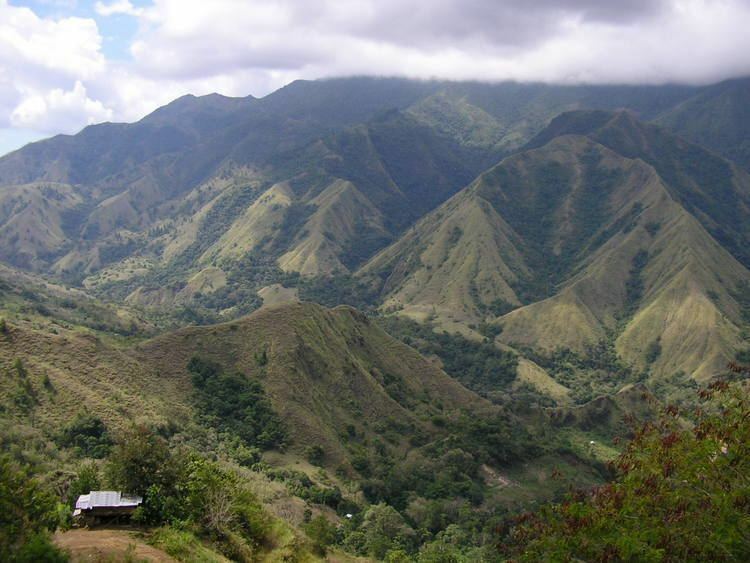 The Mountain Konjo live in the mountains of southeastern Sulawesi, around Bawakaraen. It has a total of almost 300,000 native speakers. 3,921,543 males and 4,111,008 females with 1,848,132 housing units with average of 4.34 people per unit versus national average of 3.86. Some 13.3 percent of the population was under the national poverty line. Sulawesi was first inhabited by humans about 30,000 years ago. The archaeological remains of the earliest inhabitants were discovered in caves near limestone hills around Maros, about 30 km northeast of Makassar, the capital of the South Sulawesi province. Peeble and flake stone tools have been collected from the river terraces in the valley of Walanae, among Soppeng and Sengkang, including the bones from giant pig and elephant species that are now extinct. Hand print paintings, estimated to be around 35,000 to 40,000 years old, have been found in the Pettakere cave, located 12 kilometres (7.5 mi) from the town of Maros and 30 kilometres (19 mi) from Makassar. 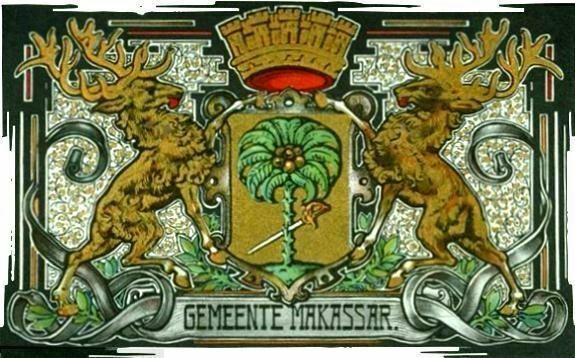 Dutch East India Company began operating in the region in the 15th century and saw the Kingdom of Gowa as an obstacle to its desire for control of the spice trade in this area. VOC later allied with the Bugis prince, Arung Palakka, who was living in exile after the fall of the Bugis. After a year-long battle, they defeated the kingdom of Gowa. And the king of Gowa, Sultan Hasanuddin was forced to sign a treaty which greatly reduced the power of Bungaya Gowa. Furthermore, Palakka became ruler in South Sulawesi. The Sulawesi economy grew 7.78 percent in 2008 and grew by 6.20 percent in 2009. Economic Growth in the First Quarter of 2010 reached 7.77 percent. The GDP in 2009 (ADHK) amounted to Rp 47.31 trillion and 99.90 Trillion (ADHB). 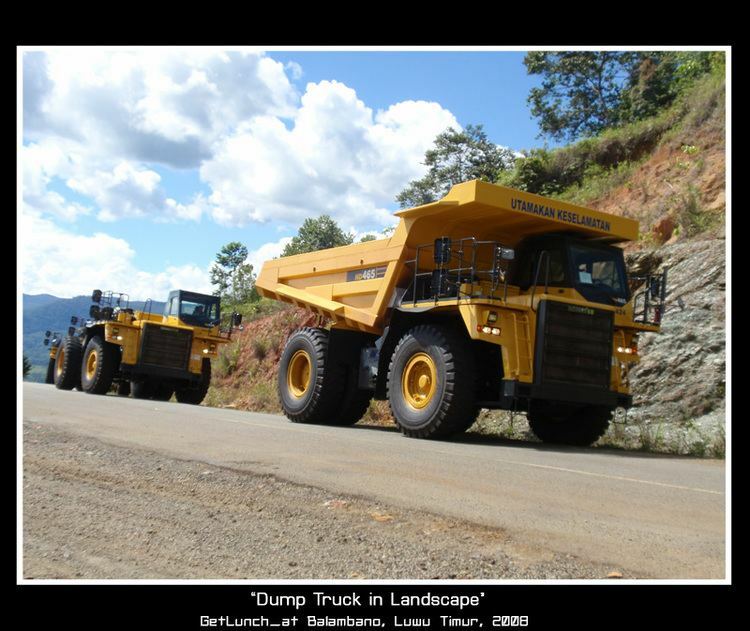 There was a per capita income of USD 12.63 million in 2009. Culture Siri 'Na Pacce is one cultural philosophy of the Bugis-Makassar Society which must be upheld. If one is a siri 'na pacce (not a person), then that person doesn't exceed the behavior of animals, because it has no sense of shame, self-esteem, and social concerns. The people of Bugis-Makassar, they teach morality in the form of advice about decency, prohibition, and the rights and obligations that dominate human action to preserve and defend himself and his honor. They have a very strong relationship with the view of Islam in terms of spirituality, where the strength of the soul can conquer the body. The core concept of siri 'na pacce covers all aspects of community life and is the identity of the Bugis-Makassar. Siri 'Nipakasiri' occurs when someone insulted or treated someone outside the boundaries of reasonableness. Then he or his family had to enforce siri'nya to restore the honour that has been deprived of, if not it would be called "mate siri" or dead status and dignity as human beings. The Bugis and Makassar, would rather die than live without siri '. Siri 'Masiri' is a way of life that intends to maintain, improve, or achieve a feat performed by earnest and hard. 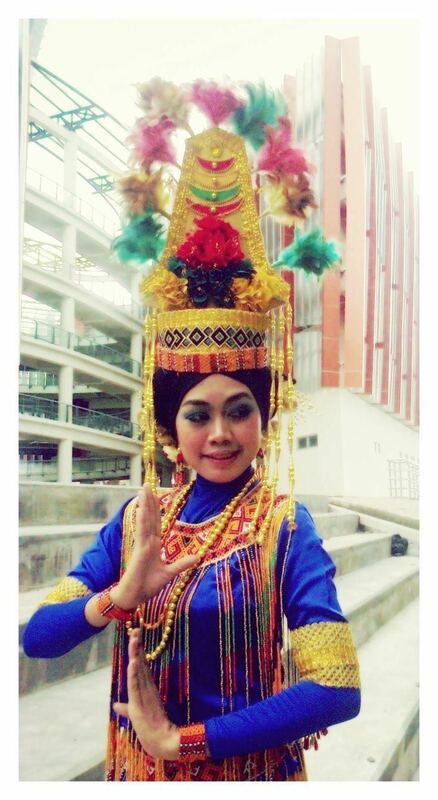 Baju bodo is the traditional costume of the women. Baju bodo is rectangular and is usually short sleeved. According to customs, every color of the clothes worn by women shows the age or the dignity of the wearer. Clothing is often used for ceremonies such as weddings. But now, baju bodo is worn in other events such as dance competitions or to welcome guests. The pinisi or phinisi is a traditional Indonesian two-masted sailing ship. It was mainly built by the Konjo tribe, a sub-ethnic group but was, and still is used widely by the Buginese and Makassarese, mostly for inter-insular transportation, cargo, and fishing purposes within the Indonesian archipelago. Rumah Panggung (Balla'/Bola) Some of the considerations for the building of the house are should it face the sunrise, overlook a plateau, or overlook a cardinal direction.